HTC's Nexus One, the first ever pure Google Android device that started it all feels the glory of Kitkat. Thanks to XDA, and rom called "Evervolv" you're able to install Kitkat on your dusty Nexus One you have put away. It's kinda funny how we may look at the Nexus One and think, "Wow... That's Old!" and yet it's only been 4 years. really makes you step back and realize how some of us swap out our old tech for new ones on a frequent bases. Of course this isn't an official kitkat release, as Google stopped supporting for this device ages ago. However, thanks to the power of AOSP and XDA, you're able to flash this OS and have a little fun with the device that started it all. Superuser is in the toolbox. Sixbar icons are backwards. working on that. Some display issues. Screenshot is broke. enabling ART will cause bootloop. Everything else should be fine. 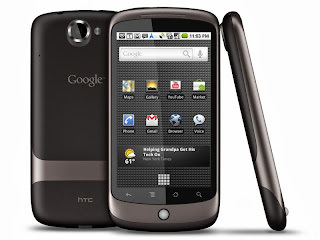 If you have a Nexus One and would to bring it to life again, you can find this rom at XDA.